Have you ever felt like you're living out a script written for you by others--in your work, your relationships, or spirituality? "To break through the norms we've been conditioned to believe is an act of rebellion," writes Chandresh Bhardwaj. "We must be prepared to be brutally honest. We must overturn our assumptions and unlearn our suffering. We must be willing to discover our real reasons for being alive." There are no "right answers" in spirituality, but asking the right questions can help us discover who we are and what we are becoming. "Authenticity is inherent each of our souls," writes Chandresh. "When we start to be authentic, we start to get back in touch with our divine source." 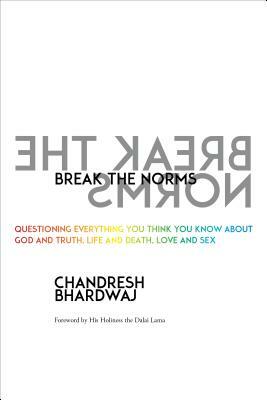 Break the Norms is the first book from a compelling new teacher--and a clarion call to embrace our own spiritual authority.